Eighteen people are feared dead following a bus collision near the Bavarian town of Stammbach. 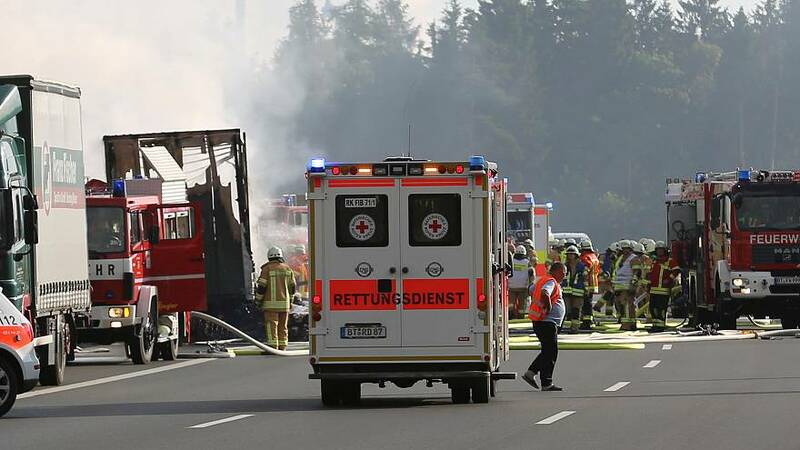 The bus, which was carrying German tourists, burst into flames after a crash with a lorry. Thirty people escaped the fire. The cause of the collision is not yet known.